Place your order by clicking the link above. Please contact your local distributor to place your product order. 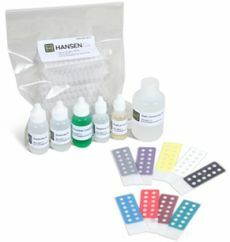 Hansen Dx specializes in serological tests for Canines and Felines. We produce the following IFA substrate slides and ELISA test reagents for sale to other veterinary diagnostic labs, universities and teaching hospitals.